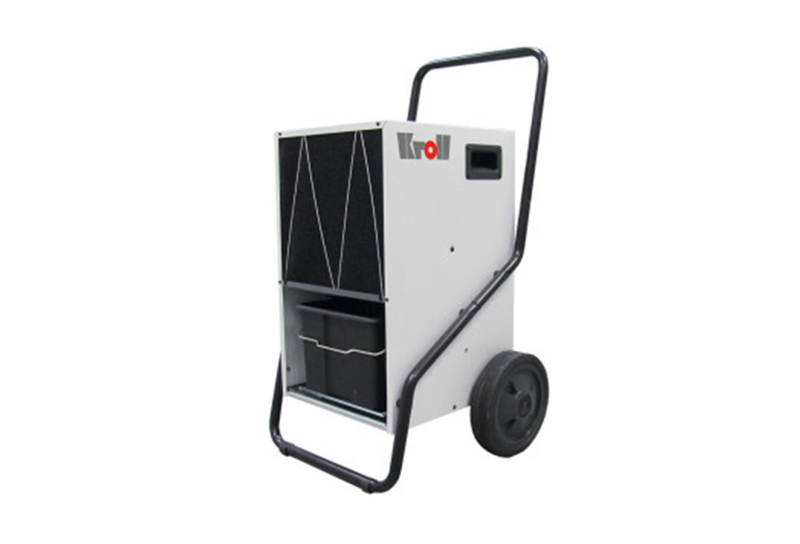 With their unrivaled versatility the TK30 Kroll 240 volt commercial dehumidifier is a popular choice throughout the hire and flood restoration industries where they help reduce the speed of drying times and reduce water damage. They come as standard with hours counters and an integrated hygrostat , as well as hot gas defrost which ensures higher efficiency, with less down time. 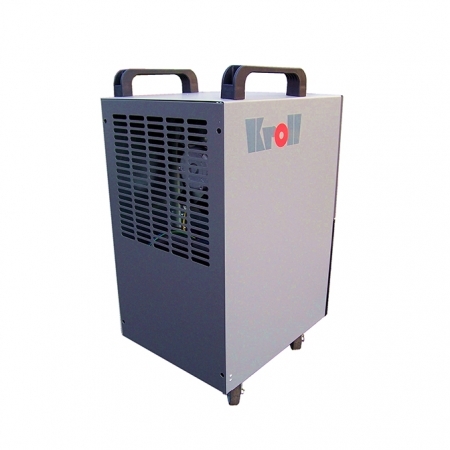 Differing circumstances present different problems – but this professional Kroll Commercial Dehumidifier have been designed to provide an effective solution whatever the situation. 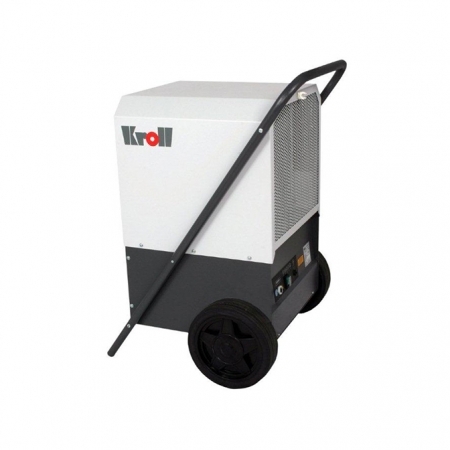 In newly built or partially completed buildings, Kroll Commercial Dehumidifiers enable interior plaster, screeds and timberwork to be dried at a controlled rate. This means that decorators can work systematically, keeping to the required schedule, regardless of weather conditions. So, if you’re looking for the best dehumidifier to help tackle condensation, damp and mould, we’ll help you find the best commercial dehumidifiers for your requirements. The units is easy to install, immediately ready for use and of silent operation.